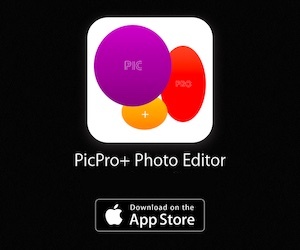 Are you looking for cross-platform, powerful and free video calling apps for iOS devices and other smartphones? 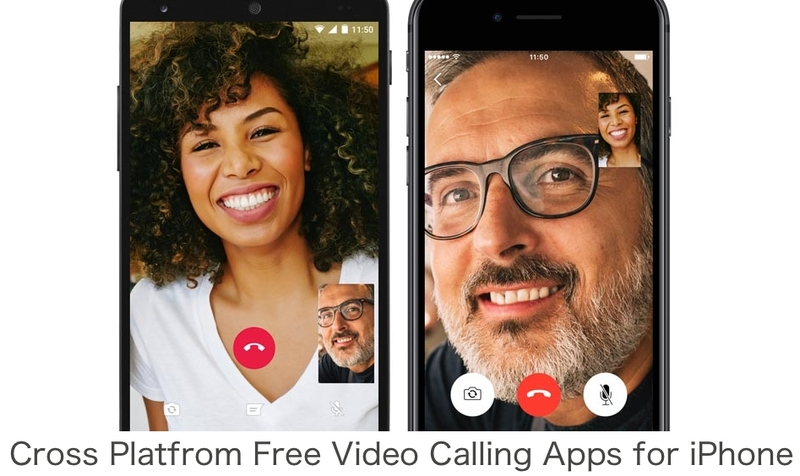 Here, you can see 15 best free video calling apps for iPhone and other smartphones that offer you to video call your friends and family easily and quickly. They are free and can work across multiple platforms. There are lots of video calling and voice call apps on AppStore but we've listed only best and most popular cross platform video calling and chatting apps for iPhone and iPad. 1. 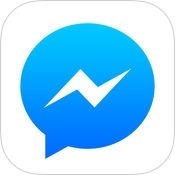 Messenger ( iPhone + iPad + Apple Watch ) :- If you want to video call and group chat with your friends and family, you can use Messenger app on your iPhone, iPad and Apple Watch. With the help of this video calling app, you can create groups and set group photos and keep them all in one place, you can shoot videos & snap selfies or other photos and send them with one tap, you can talk as long as you want all around the world, you can record voice messages when you have more to say, you can know when people have seen your messages, you can turn off notifications when you are working or sleeping and, you can also see who is available on Messenger and who is active on Facebook. 2. WhatsApp Messenger ( iPhone ) :- Do you want to send and receive videos, photos and voice messages, and call your friends or family? 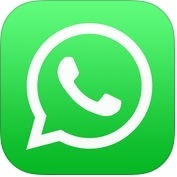 If yes, you can use WhatsApp Messenger app on iPhone and other smartphones. This video calling apps has lots of unique features such as free calls, multimedia, group chat, no require usernames and pins, always logged in, quickly connect with your contacts, no international charges, offline messages and much more. 3. 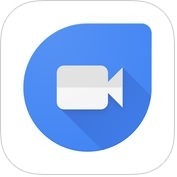 Google Duo - simple video calling ( iPhone ) :- Google Duo is one of best and a one-to-one video calling apps for iPhone and Android smartphones. With the help of this video calling app, you can call any of your contacts with just one tap with a simple interface. Google Duo app has several effective and useful features such as high quality video, reliable video calls, cross-platform, audio calls and much more. 4. Skype for iPhone :- It is an excellent and faster video calling app for iPhone. 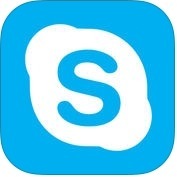 With the help of Skype app, you can send videos, voice messages, emoticons, photos, emojis to your friends and family, you can respond to any messages from your contacts with reactions, you can add your favorite people and start chatting or video calling, you can also swipe quickly to capture photos and videos. 5. 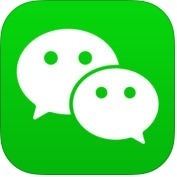 WeChat ( iPhone + iPad + Apple Watch ) :- WeChat offers you to easily connect with friends and family around the world, with video calling and messaging. With the help of this video calling app, you can create group chats with up to 500 people and group video calls up to 9 people, you can send videos, photos, text and voice messages, you can calls free with high quality to all around the world, and you can also share your best moments on your personal photo stream. 6. 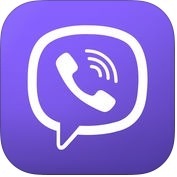 Viber Messenger – Text & Call ( iPhone + iPad + Apple Watch ) :- This video calling and messaging app keeps you connected to any person around the world through your WiFi connection. With the help of Viber Messenger app, you can create groups with up to 250 people, you can make audio or video calls, text, share photos and videos, express yourself with lots of amazing stickers, you can voice or video call with HD quality sound when you face-to-face and, you can also call international without having to set up a username. 7. 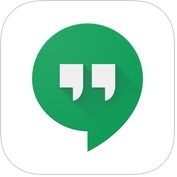 Hangouts ( iPhone + iPad ) :- With the help of Hangouts app, you can keep in touch with your friend and family, through video or voice calling on your iPhone and iPad. With the help of Hangouts app, you can create groups with up to 150 people, you can share your current location to any conversation with maps integration, you can turn any conversation into a free group video call with up to 10 friends and, you can also send messages to your friends or family anytime, even if they're offline. 8. 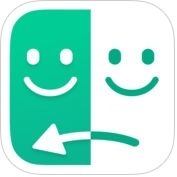 LINE ( iPhone + iPad + Apple Watch ) :- If you want to keep in touch with your friends, family and loved ones through video calling or chatting, you can use LINE app on your iPhone, iPad and Apple Watch. 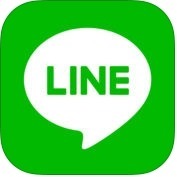 Line app has lots of unique and useful features such as make group calls with 200 people, keep your things close, instant messaging anywhere, free voice and video calls, advance featured social networking service and much more. You can also share important information with your co-workers or talk about mutual interests with your closest friends. 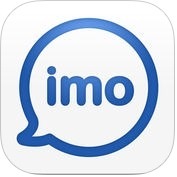 9. imo video calls and chat ( iPhone + iPad ) :- imo is one of the latest and wonderful video calling and chatting apps for iOS devices and other smartphones. 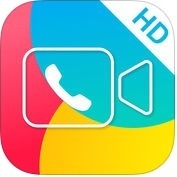 With the help of this video calling app, you can video chat and send messages with your friends and family for free, you can video chat with high quality sound, you can create group chat with friends, family, lover and others, you can share photos and videos, you can express yourself with lots of beautiful stickers and, you can also encrypted chats and calls. 10. 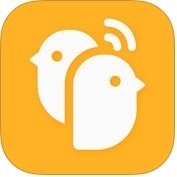 Tango - Free Video Call, Voice and Chat ( iPhone + iPad ) :- Tango is one of the best video calling and messaging apps for iPhone and iPad. It is also the first video calling app. With the help of Tango, you can call the person who matter to you anywhere in the world, you can send and reveive photos, videos, audio, and text messages with amazing stickers, you can keep in touch with the group of people that matter to you and, you can also follow and interact with interesting people nearby and around the world. 11. JusTalk HD - Fun Video Calls & Video Chat App ( iPad ) :- Just Talk HD is simple UI, reliable and impressive video chat & fun video calls app. It offers both one-to-one video calling and group calls for everyone. Just Talk app has unique and powerful features such as high quality video, fun chat, simple interface, group voice chat, cross-platform, various ringtons & colorful themes, customize your experience and much more. You can also enjoy face to face time with colorful interface. 12. YeeCall Messenger - Video & Voice Call, Group Chat ( iPhone + iPad ) :- YeeCall Messenger is one of the best and advance featured video & voice call and group chat apps for iPhone and iPad. With the help of this video calling app, you can unlimited free texting, you can send video message to share fariends and family a moment they can see, hear and feel anytime, you can record voice messages when you have more to say, you can send more than hundreds of free funny stickers and, you can also group chat with friends, family, and co-workers up to 200 people. YeeCall is easy to use and send them with just one tap. 13. 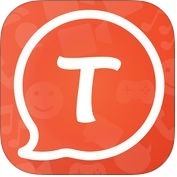 KakaoTalk ( iPhone + iPad ) :- Kakao Talk is costless, easiest and multifaceted messaging app for iPhone and iPad. It is also fast, fun and communicate with friends and family. Kakao Talk app has lots of useful features such as speedy & reliable messaging no matter what your network, high quality voice and video calls, emoticons, free messages & multimedia and much more. With the help of this video calling app, you can chat with an unlimited number of friends and family, you can filter your voice calls for fun with Talking Tom and other funny filters and, you can also see who read your messages. 14. Azar - Video Chat, Discover ( iPhone + iPad ) :- Azar is one of the fantastic and user-friendly video calling apps for iPhone and iPad. Azar has several unique features such as friends discovery through video chats over WiFi connection, real-time interpretation during matching, ability to add your new friends during matching to your friends list, select gender and region preferences and, much more. You can also thumbs-up points to see if your new matches like you. 14. 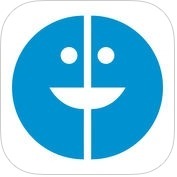 SOMA Messenger ( iPhone ) :- If you want to chat with high-quality videos with your friends and family around the world, you can use SOMA Messenger app on your iPhone. With the help of this video calling app, you can chat with your friends face-to-face anywhere, anytime, securely from your smartphone, you can create a group chat of up to 500 friends, family and co-workers and, you can also express your every emotion with emoji dashboard.